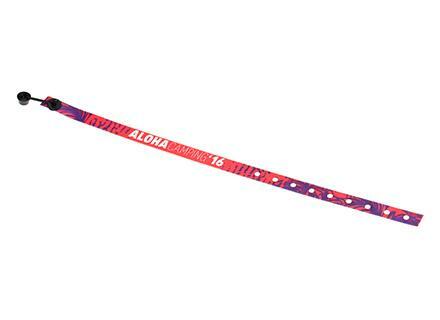 High quality, stylish, 100% satin ID wristband. Strong woven wristband with reinforced edges to prevent them from fraying. Perforations along a section of the wristband. 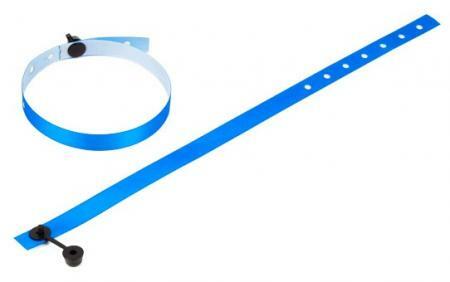 Unbreakable and non-reusable wristband fastener. 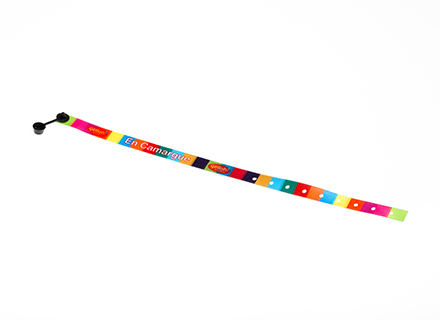 The wristband can be printed with your choice of 1, 2, 3 or more text colours and/or logo. 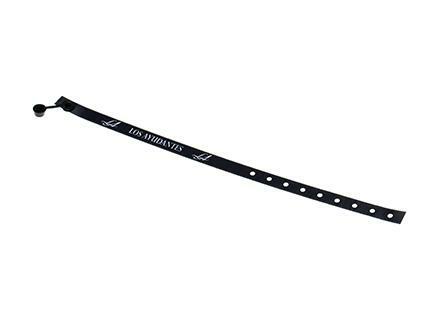 Fastening: Integrated into the wristband - just press the fastening to close!